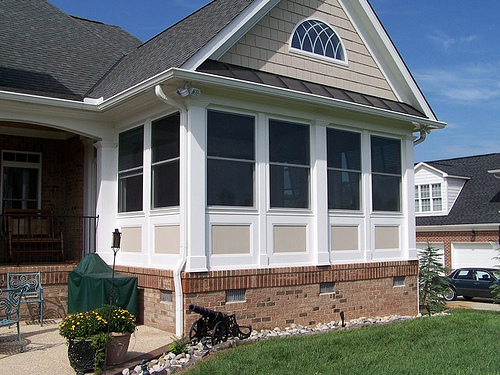 « Aristocrat Awnings Add Comfort and Convenience to Your Entire Home! The Raleigh-Durham-Chapel Hill Triangle area has a reputation for having hot, humid summers, and it’s no surprise that this weather has certain negative impacts on the structure and exterior of your home. One simple way to see if there is any major damage to your roof is by checking your attic for water stains or leaks. Going up onto the roof can help give you a more in-depth inspection. Rather than trying to do this dangerous task yourself, give our team a call to have one of our home improvement experts come evaluate the state of your roof. Asphalt shingles, one of the most popular roofing materials, can begin to degrade when repeatedly exposed to high temperatures. What looks like just one torn shingle may actually be hiding far more extensive damage. 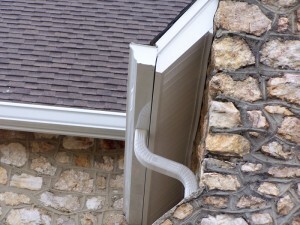 Your gutters work hard to protect your home’s foundation and siding from water damage, and heavy summer rain and thunderstorms can be devastating to this part of your home. Luckily, the Gerald Jones Company has quality gutter products in stock year-round that help minimize the amount of time you are up on a ladder tending to your gutters. If you have the air conditioning set on full blast but your home still doesn’t seem to feel cool, you may need to examine your windows. Windows with the right insulation and UV protection will make a huge difference on your energy bills as you try to combat the summer heat. If your sprinkler system is placed too close to your house, you are creating excess moisture around the exterior of your home, which can build up in the siding and cause damage. Learning to recognize the first signs of heat, humidity and moisture damage to your home can help you catch a problem before it becomes a bigger issue. To request a free quote, please contact us at 919-286-1700. Let us help you beat the heat this summer by taking care of those home improvement projects for you! This entry was written by Gerald Jones Company, posted on August 3, 2016 at 12:53 pm, filed under Uncategorized and tagged gutters, home improvement, roof, storms, summer, water damage, windows. Bookmark the permalink. Follow any comments here with the RSS feed for this post. Both comments and trackbacks are currently closed.